Lawmakers say the issue impacts thousands of homeowners in 42 cities and towns in Connecticut. In a letter to Gov. Ned Lamont, Attorney General William Tong and the Insurance Commissioner Andrew Mais, lawmakers are calling for subpoenas or a formal investigation to determine what lead to insurance companies dropping coverage, forcing taxpayers and homeowners to foot the bill. The letter states that there are documented cases of insurance providers canceling homeowners’ policies due to cracking foundations. 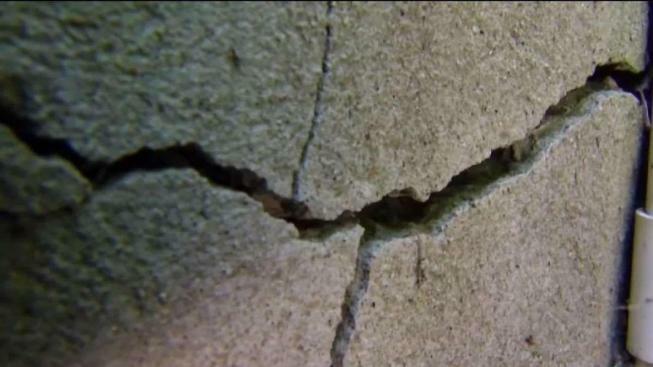 The Insurance Department issued a warning last week reminding insurers that state law prohibits canceling or non-renewing a policy or increasing premiums based on a claim or inquiry made on their insurance policy, including concerns about crumbling foundations. Discussion of a potential investigation into a possible Connecticut Unfair Insurance Practices Act (CUIPA) was brought up during former Attorney General George Jepsen’s administration in July 2016, but the investigation was never initiated. “The taxpayers and homeowner insurance policy holders of Connecticut are currently footing the bill for this catastrophe. The time has come for a CUIPA investigation,” the letter states. NBC Connecticut Investigates first broke the story on crumbling foundations over three years ago. Lawmakers say the issue impacts thousands of homeowners in 42 cities and towns in Connecticut.